We are back…! 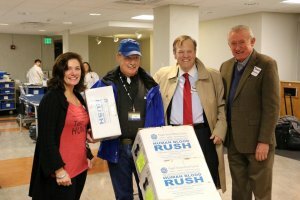 We took a few weeks off over the end of the year to get rested and ready for the coming legislative session. 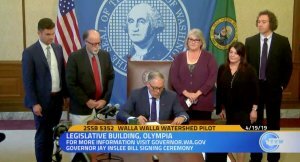 We’re super-charged now, and we have some videos, podcasts, and original reporting out of Olympia to show for it. We’ll have two reporters covering Olympia this session: Sara Gentzler and Emily Boerger — who would both love your tips! If you’d like to suggest some coverage of an issue in the Morning Wire or our Daily Wire newsletter, drop us a note and let us know! We’d love the input. 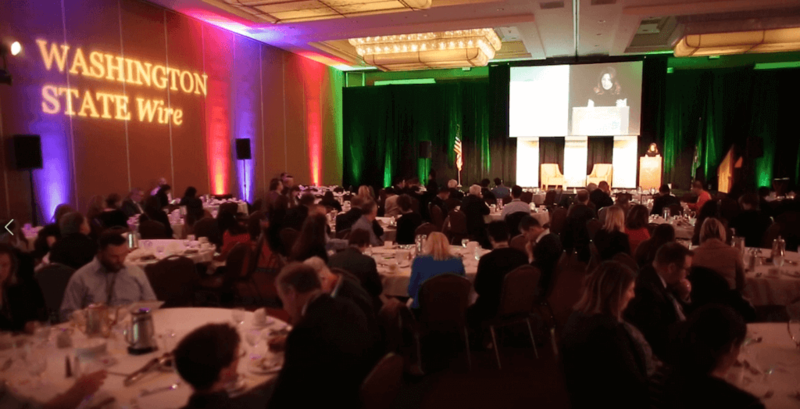 On December 13th, we hosted more than 250 attendees — including almost 30 elected officials — for our 2018 Re-Wire Policy Conference: a non-partisan, policy agnostic forum covering some of the most pressing topics in state policy and politics. We’re proud of putting together one of the most diverse gatherings of senior executives and policy leaders in the state. Check out the highlight reel from the day to get a sense of how things went. If you weren’t able to join us, we’ve included some links to pieces of the day throughout this email. If you really want to dig in, start by taking a look at some of the panelists’ presentations. 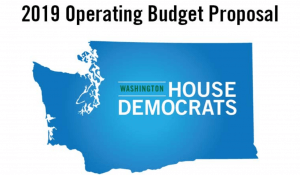 You’ll find presentations like Sen. Karen Keiser’s take on the implications of #metoo in Olympia and Sen. Christine Rolfes’ PowerPoint on budget sustainability. Re-Wire conference kicked off with a panel titled Transparency, Governance, and the Future of Public Records, during which Sen. Jamie Pedersen, Seattle Times Publisher Frank Blethen, and TVW President Renee Radcliff Sinclair discussed balancing the public’s right to information with the legislature’s need to conduct business. Halfway through the day, Hilary Franz, Commissioner of Public Lands, presented a lunch keynote that covered hot-button topics like Washington’s wildfires and her budget package (in her words, “it’s big”). And Representative J.T. Wilcox, who was re-elected to lead his caucus in the coming session, wrapped up the day with our final keynote, where he discussed the state of Washington politics and the priorities of House Republicans for 2019. 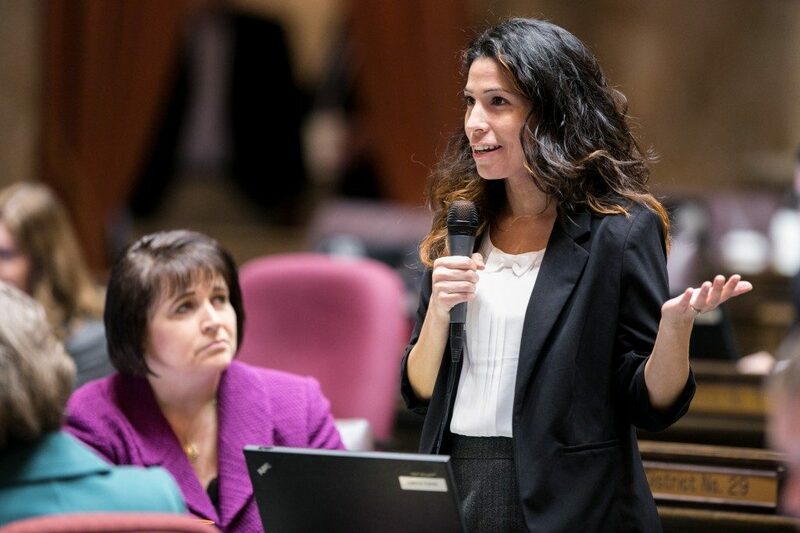 In a Q&A with Wire reporter Sara Gentzler, Rep. Monica Stonier shared the issues she’s prioritizing for her district and her caucus for the session. Stonier mentioned some bills she’s working on, including one on portable benefits, another on graduation requirements, and another (potentially) seeking a simple majority to pass school district bonds. 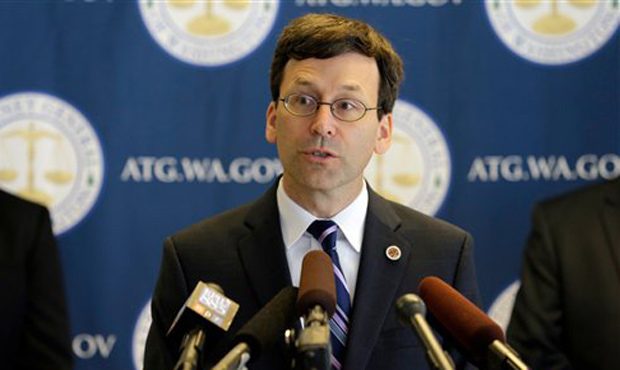 At the end of 2018, Washington State Attorney General Bob Ferguson announced his 2019 legislative agenda, made up of a slate of 11 agency request bills. Over half of the bills are repeats from years past, and seven have been prefiled, as of January 3rd. Among other goals, the bills that have been prefiled aim to up the legal age to purchase tobacco and vapor products, ban the sale and possession of high-capacity magazines, and establish a one-year “cooling off” period before some state employees can take jobs as paid lobbyists. We recorded “A Conversation with the 2018 Legislators-Elect” at Re-Wire, and we’re excited to share it with you now in podcast form. 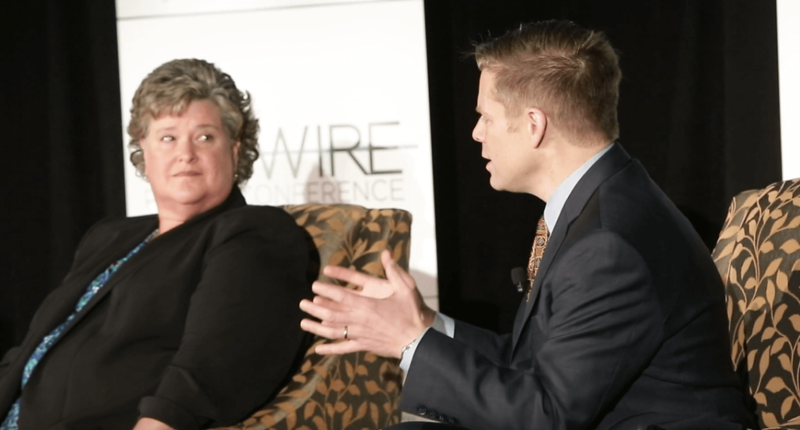 During the panel, we got to know four of the state’s recently elected lawmakers who are headed to Olympia next week; it was one of our most-attended sessions. Representative-Elect Lisa Callan and Senators-Elect Mona Das, Jesse Salomon, and Claire Wilson chatted with us about their backgrounds, what pushed them to run for office, the biggest surprises during their campaigns, their mentors in the legislature, and their priority issues. Get to know some of the new members. The 15-person Legislative Task Force on Public Records wrapped up its recommendations for the legislature in December, with members ultimately agreeing they “could live with” eight recommendations to include in its final report. Ongoing discussion beyond those eight points led the task force to allow members to submit page-long statements that were included in the report, as appendices. Washington State has some heft again in the House of Representatives. Rep. Adam Smith is now the Chair of the House Armed Services Committee, one of the most important committees in the House. He’s making the rounds speaking plain truth on the airwaves or noting impeachment is worthy of discussion — but also using pretty colorful language about the President, as he did last night. Smith is leveraging his new chairmanship to elevate his profile in material ways. Likewise, Rep. Pramila Jayapal has been elevating her profile in ways a member with only two years experience might: She’s prominently advocating on an issue that is getting its time in the spotlight. 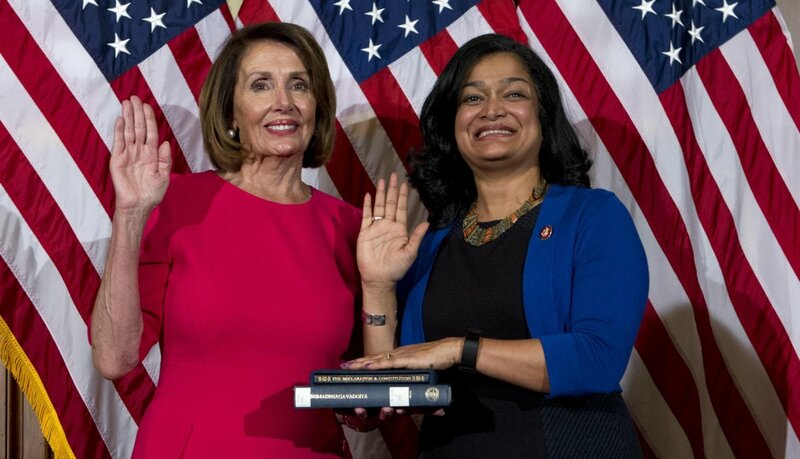 As the lead sponsor of Medicare-for-All legislation, that will soon get a hearing in the House, Jayapal is one of the co-chairs of the Medicare-for-All Caucus. It’s an issue with strong support in the polls — up to 70 percent of Americans support it — if not yet commensurate support among members of Congress.